5.1 km from Minneapolis - St. Paul Intl. 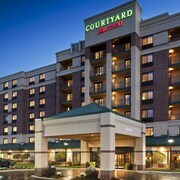 Situated near the airport, this hotel is 1.9 mi (3 km) from Mall of America and 2.1 mi (3.4 km) from Nickelodeon Universe. Best Buy Corporate Headquarters and Sea Life Minnesota Aquarium are also within 3 mi (5 km). 10 km from Minneapolis - St. Paul Intl. Situated near the airport, this motel is 0.7 mi (1.2 km) from Rasmusseen College - Bloomington Campus and within 3 mi (5 km) of Normandale Lake Park and Hyland Ski and Snowboard Area. Best Buy Corporate Headquarters is 2.4 mi (3.8 km) away. 5.3 km from Minneapolis - St. Paul Intl. 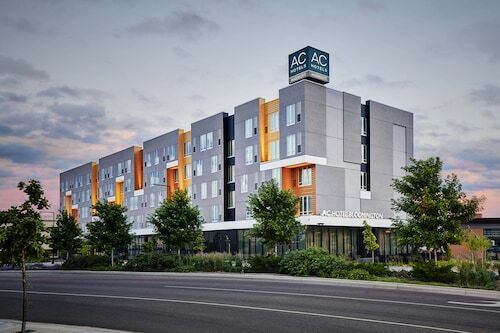 Situated near the airport, this hotel is within 3 mi (5 km) of Best Buy Corporate Headquarters, Mall of America, and Nickelodeon Universe. Sea Life Minnesota Aquarium and Crayola Experience are also within 3 mi (5 km). 11 km from Minneapolis - St. Paul Intl. 3 km from Minneapolis - St. Paul Intl. 2.6 km from Minneapolis - St. Paul Intl. 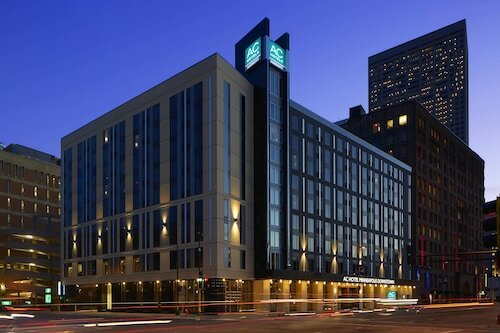 Situated between the airport and one of the world's most visited malls, Hilton Minneapolis/St. Paul Airport Mall of America runs a free 10-minute shuttle to both places. Target Center is about 12 miles (19 km) away, and the trail-laced Minnesota Valley National Wildlife Refuge is a 30-minute drive. 4.2 km from Minneapolis - St. Paul Intl. 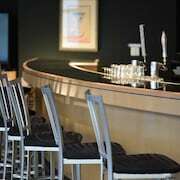 Located in Dinkytown, this hotel is within 1 mi (2 km) of Mariucci Arena, University of Minnesota-Minneapolis, and TCF Bank Stadium. U.S. Bank Stadium and Guthrie Theater are also within 2 mi (3 km). Cedar - Riverside Station is 28 minutes by foot. 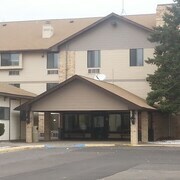 Located in Dinkytown, this hotel is within a 10-minute walk of TCF Bank Stadium and University of Minnesota-Minneapolis. U.S. Bank Stadium and Target Center are also within 3 mi (5 km). 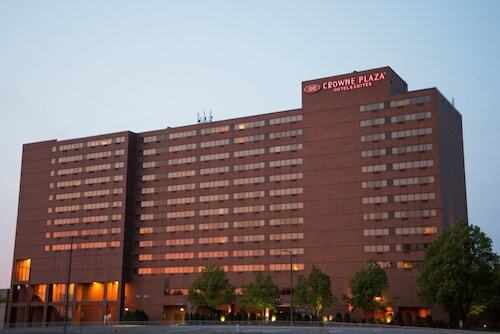 Located in Downtown St. Paul, this hotel is within 1 mi (2 km) of Minnesota History Center, Xcel Energy Center, and RiverCentre. Minnesota State Capitol and Cathedral of Saint Paul are also within 15 minutes. Saint Paul Union Depot is 28 minutes by foot. See the earth slowly creep up below you as you hit the runway at Minneapolis - St. Paul International Airport (MSP) in Minneapolis - St. Paul. As much as you might dig the energetic atmosphere that you find in airports, bedding down in one is something else. You won't be able to stay right beside the terminals, but a quick drive will bring you to 11 quality establishments. 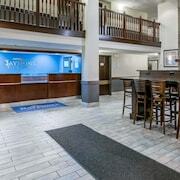 The Embassy Suites by Hilton Minneapolis Airport provides complimentary airport shuttle service and 24-hour concierge and is 2 miles (3 kilometers) away, while the Hyatt Place Minneapolis Airport-South is 2 miles (3 kilometers) from the airport. 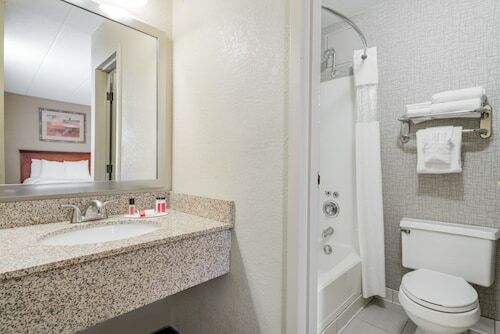 Some of the finest airport accommodation can often be found a little bit farther away from the terminal. 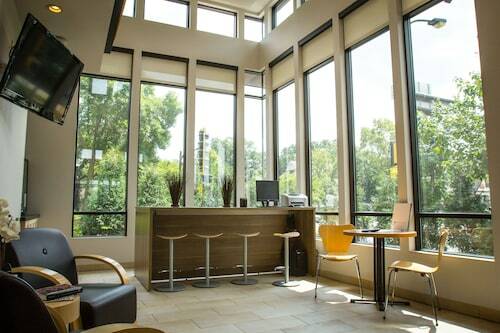 In Mendota Heights, 4 miles (6 kilometers) away, you can take your pick of 2 establishments, including the Courtyard by Marriott Minneapolis-St. Paul Airport and the Fairfield Inn & Suites Minneapolis-St. Paul Airport. 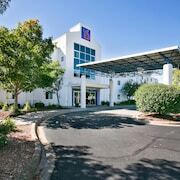 If you're searching for more options, Eagan offers 10 hotels. 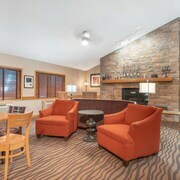 It boasts the Sonesta ES Suites Minneapolis - St. Paul Airport and the Hampton Inn Minneapolis - Eagan and is 4 miles (6 kilometers) away. If you're in between flights and want to do something fun, you might like to arrange a trip to Mall of America. You'll find it just 2 miles (3 kilometers) away. So what are you waiting for? 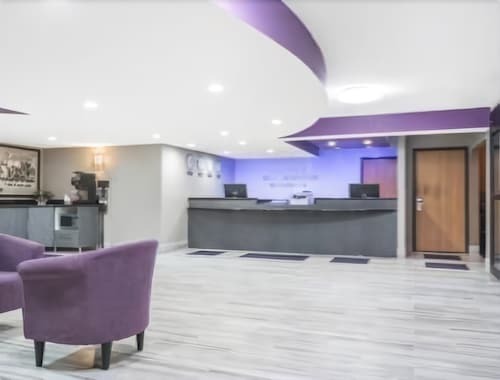 Plan your Minneapolis - St. Paul International Airport hotel right away and let the good times begin! The property was clean and up to date. The room was spacious and nicely decorated. Great pull put sofa bed. Only thing that could have made it better was a hot tub to relax in. More Ways To Wander Minneapolis - St. Paul Intl.